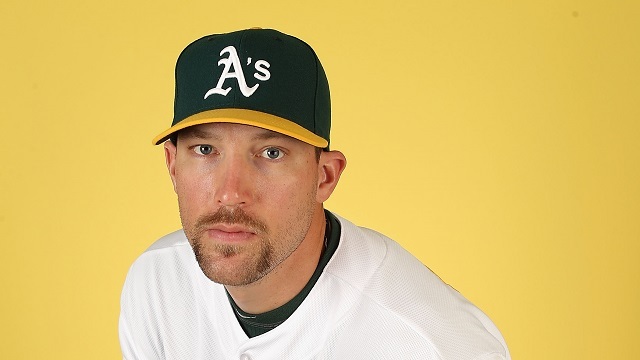 #Athletics recall Evan Scribner from Sacramento and designate Jim Johnson for assignment. When the A’s first signed him, I thought it was a hefty $10 million investment. But he just wrapped up his second straight season of over 50 saves. So I knew that if he was to replace Grant Balfour, he’s a good candidate. I watched him on Opening Day. He blew the game. I didn’t boo him, but I understood the reason for booing him. He had a big shoe to fill and he didn’t deliver. Then he started blowing more games. Then in blowouts, he couldn’t get through the innings without surrendering runs. Last night was the final straw. He faced four batters and all of them would eventually score. His ERA ballooned to 6.94. That was enough. He had to go. He just was not good. He might do better elsewhere. But here, he was not the player the team paid for. What a shame. But this was the move that had to be made. It could have been made earlier, but better late than never. This entry was posted in MLB, Oakland Athletics and tagged Jim Johnson. Bookmark the permalink. ← Since when do they put ads on team mascots?